The Carnitech spiral freezer is designed for freezing products for the food processing industry such as fish fillets, whole fish, chicken pieces, bread or products in trays. Unique flow of air ensure a minimal loss of product. 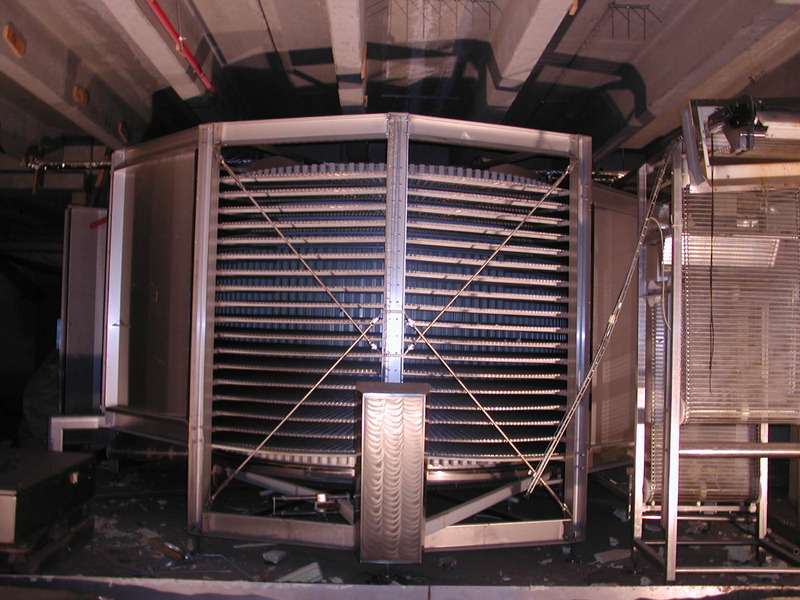 At the same time the products are in optimal contact with the air current for a shorter freezing time. 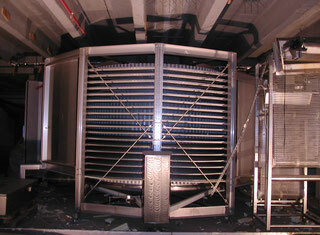 The freezer is designed to form part of an automatic processing line. 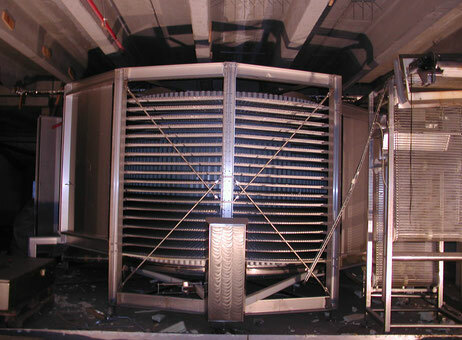 On a plastic lamella or steel belt the product is led into the freezer where fans circulate air at a temperature of below -30°C. A quick freezing with a product temperature down to -18°C is achieved. The simple design with passageway around the spiral ensures that the freezer both regarding cleaning and hygiene applies with the strictest requirements. The operation of the spiral freezer is designed against the best possible userfriendliness. On the well-arranged control panel the freezing times can be adjusted and it is easy to switch from one product to another. It is possible to control the freezing time stepless on the panel and all relevant para-meters can be read digitally.